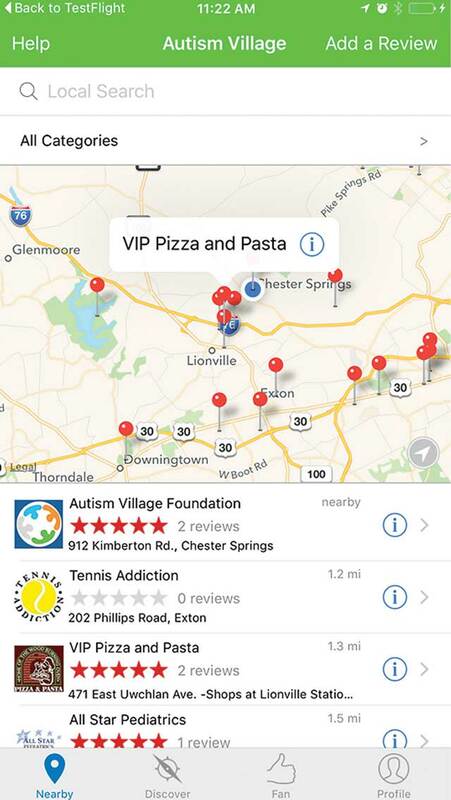 Wherever you are, local Autism Friendly services and places are only a tap away. 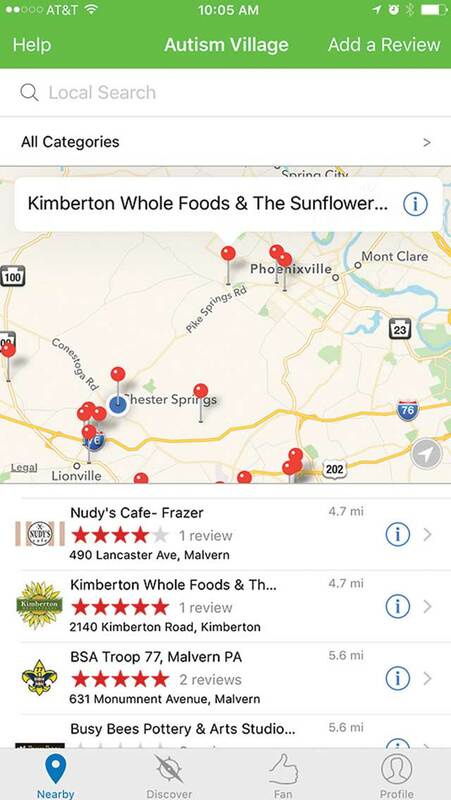 Find businesses and services near you when you use your GPS in conjunction with the app. 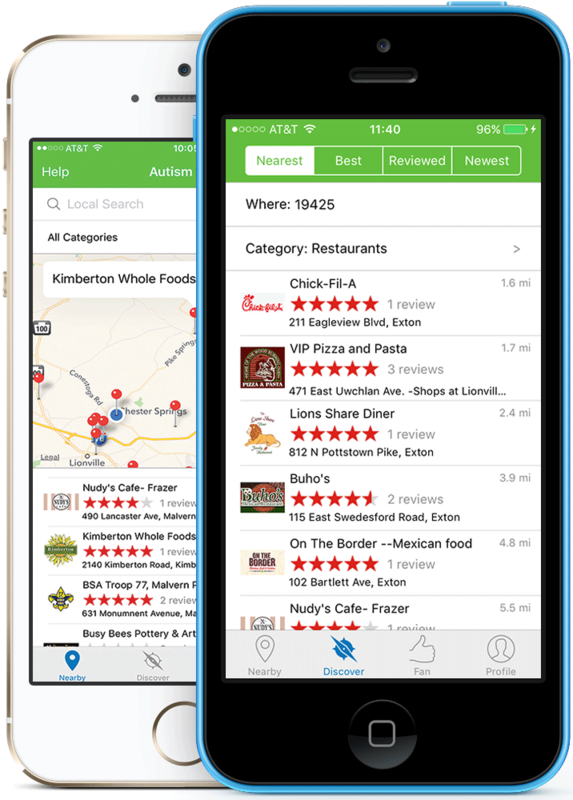 Check out local businesses by their nearness to you, how well they’ve been reviewed, or how new they are in the system. 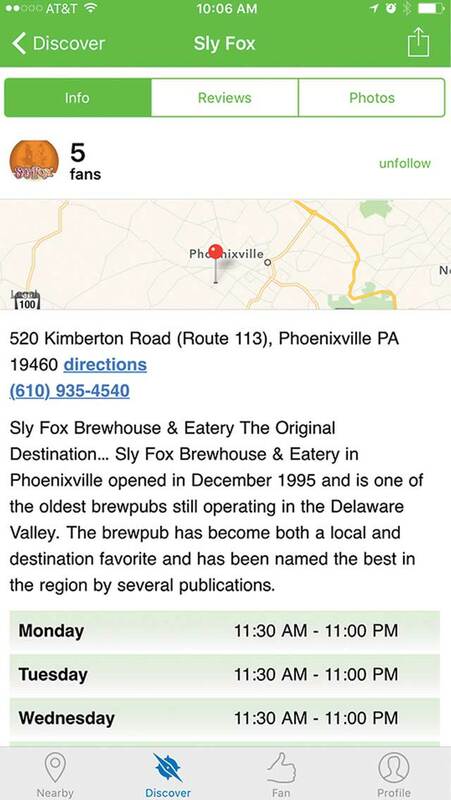 Become a fan of your favorite businesses to support them and keep track of them in your Fan list. Review the places you visit for their autism friendliness so that others can view your experience. Fill out your information, see reviews and photos you have posted, and connect with other users. 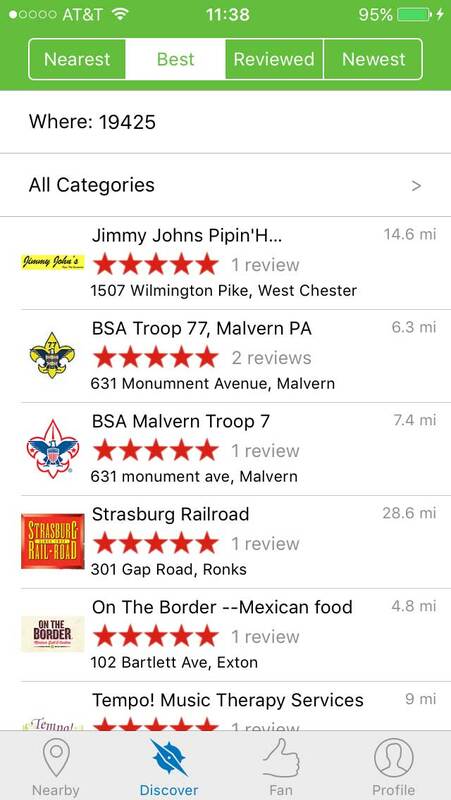 Search for a business near you or use your GPS to see other users’ photos, reviews, and ratings. 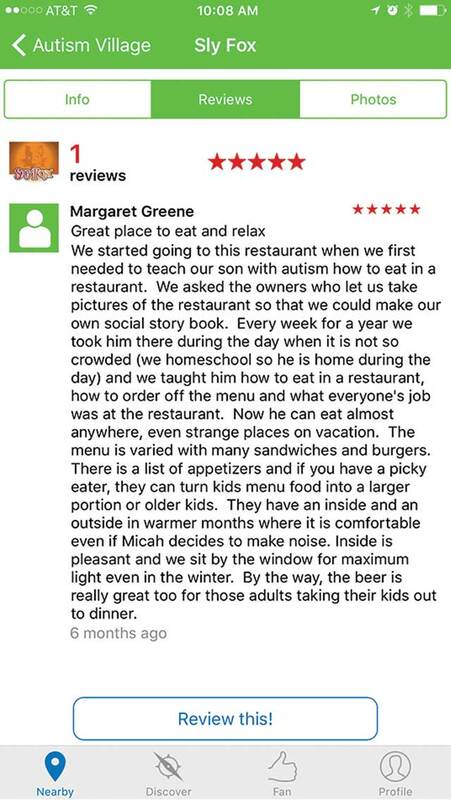 Families with autism want to know that they will be welcomed and respected when they go out. 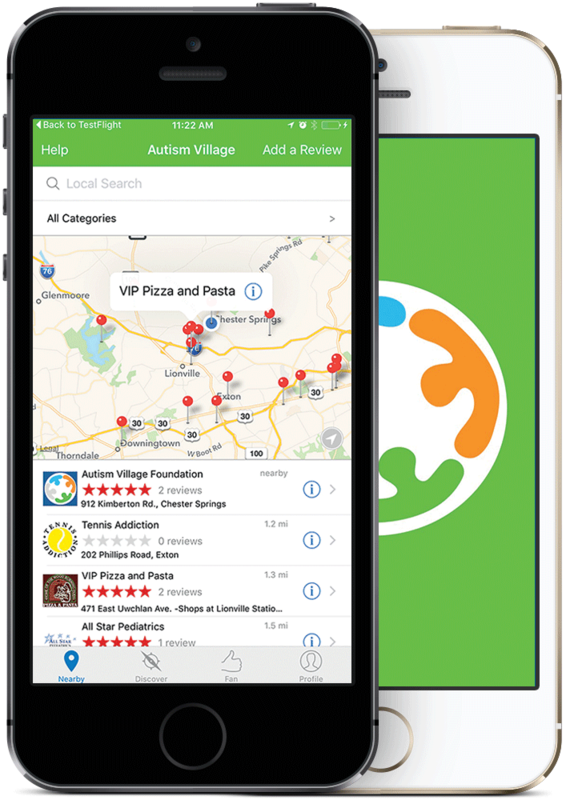 With the app, picking a restaurant or a park is as easy as reading others’ reviews. The number of children with autism is steeply on the rise. This means that the number of your future customers living with autism is, as well. 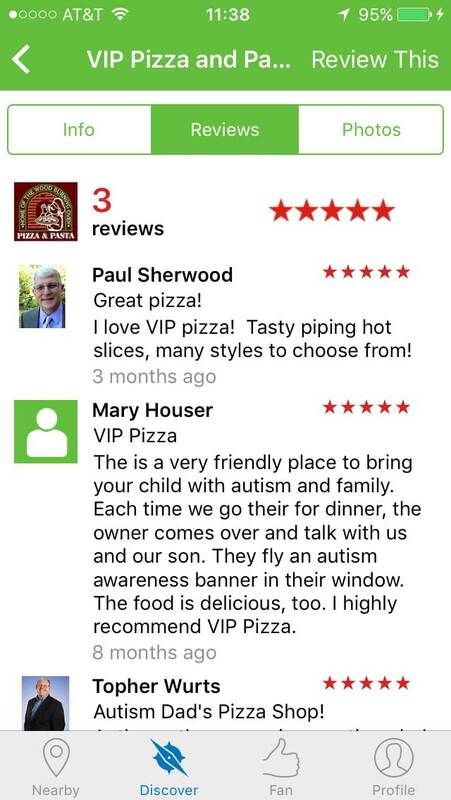 From ‘autism wins,‘ like the positive media coverage of JetBlue's outstanding service with the autism community, to ‘autism fails,’ like United Airlines making an emergency landing to remove a distressed child with autism, you should consider the increasing impact autism in the community has on your customers and on your business. 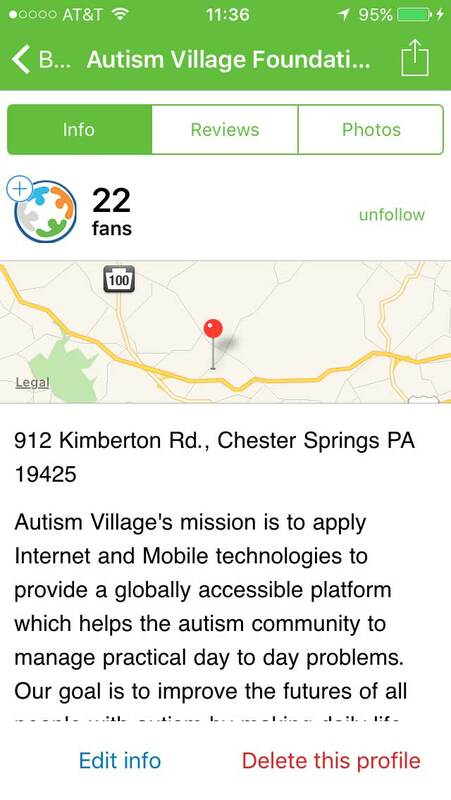 The Autism Village App will help businesses and services get out in front of autism, on the crest of the wave, to bring in autism families and their friends and have them all become loyal, happy, appreciative customers. Help us help you to start living better. Download the app. The app is free, there are no in-app purchases, and it will never cost you a penny to use it. 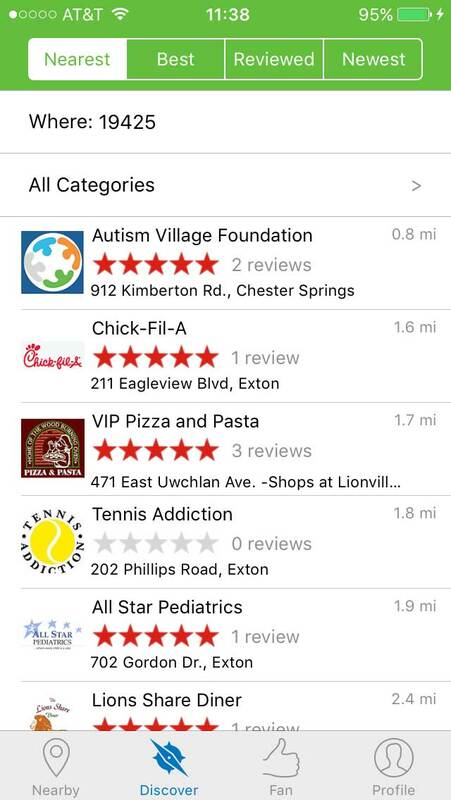 Considering how much time and effort can be saved, it becomes clear that the Autism Village App is an amazing value that you can't afford to do without. We understand that technology sometimes presents issues that require a bit of assistance. We're here for you. Contact us via email or phone and our Support Techs will happily and skillfully assist you.